Figure a minimum of 40 sites by which you will at least want to drive. Surely a full weekend; maybe even three or four days. A serviceable pair of binoculars wouldn’t go amiss, and a camera is essential. Stay in St. Helena: SHADY OAKS INN. STERLING ~ Moorish arches. Gondola. Spectacular location. Stay in Calistoga: INDIAN HOT SPRINGS. Breakfast: YO EL REY ROASTING. The architectural splendor of Napa Valley is unique in the world of wine. There are other examples, of course: Catena’s Mayan-inspired temple near Mendoza, Argentina; Te Mata in Hawkes Bay, NZ; several chateaux in Bordeaux; the winery Frank Gehry designed for Marquis de Riscal in Rioja, Spain; the brilliant, but completely unknown, Aztec-like monument where grapes are sacrificed for Bodegas de Santo Tomas in the San Vicente Valley of Baja, Mexico; Mission Hill in the Okanagan Valley of British Columbia; etc. But Napa Valley surely gets the prize for concentration of money, per square mile, spent on buildings. It is a competition in Napa, there are some very serious players (not just Americans) involved, and it has been going on for almost 150 years. The fascinating aspect of structuring a Napa visit around architectural erections (sorry, I couldn’t resist), is the way people naturally conflate their opinion of the building art with their opinion of the winemaking art. Taste and smell preferences are often vague and malleable. Visual preferences may seem more concrete (sorry again, I must have caught something). Hence enjoying the architecture makes one more confident about endorsing the wine quality. Although, sober analysis generally reveals very little relationship between the two. Price, yes. You put $30 million into a building, you probably want/need an extra $10 per bottle coming back. And an expensive press in the winery may contribute to wine quality. A carved door and skylights do not. What the furnishings and ‘curb appeal’ do accomplish is to draw visitors off the highway, and into the winery’s hospitality mechanism. That can be enormously valuable. Brand loyalty is hard to accomplish at a distance. It is so much easier if the winery can deliver a generous slice of human personality. Same thing with price. If you pay $5 to taste six wines, then take the glass home with you, that’s just an honest business transaction. Not particularly memorable. But if you pay $50 a person to receive a presentation of 5 wines with food. Now that sticks with you. The wines must have been spectacular. Why else would you have forked over so much cash? It’s a psychological phenomenon called cognitive dissonance. If you don’t make a positive connection between price and value, you go nuts. 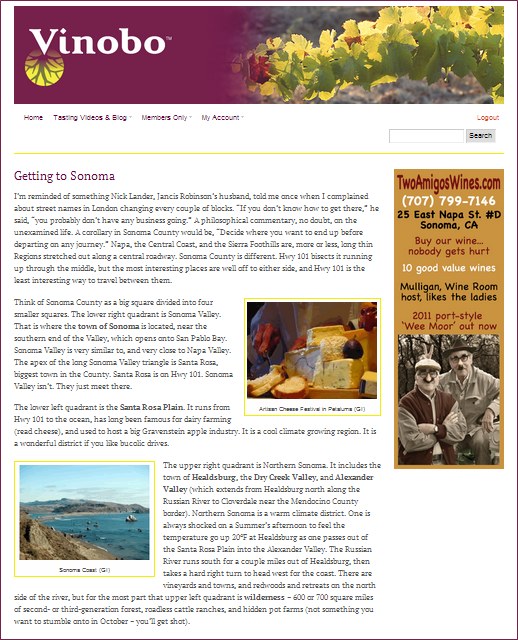 Next Next post: What is Bruce Cass Wine Tours?